And the club plans to do much more before being in a position to determine the final results of its efforts. 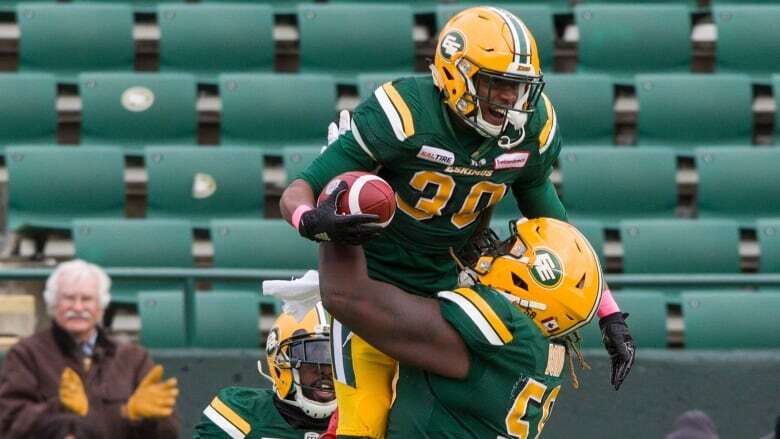 Despite a social media report Monday suggesting Edmonton would be changing its name to Empire, Allan Watt, a marketing and communications official with the Eskimos, said there's nothing imminent regarding a new team moniker. On Friday, McGill University announced it was changing the name of its men's varsity sports teams, who were called the Redmen. Suzanne Fortier, McGill's principal and vice-chancellor said the name made Indigenous students feel alienated. "This is something that's been our name since 1910 . . . and we want to make the right decisions, not quick decisions. We'd be remiss if we didn't do extensive research, if we didn't do it thoroughly and if we didn't do it in the north ... none of us should pretend to speak for people who are Inuit." speculate whether the CFL club will or won't change its name. "When you've got jerseys tucked away that you'll want pass on to your kids and maybe grandkids one day because you're so proud of it ... the idea of that name going away is hard to fathom," Ambrosie told The Canadian Press. "But I also know times change and so we have the conversation and we see where it takes us."